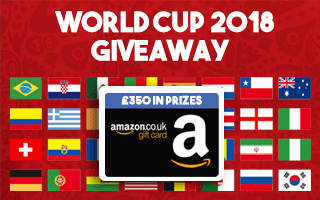 World Cup 2018 Sweepstake - Results! Thank you to everyone who entered our sweepstake for the World Cup. There were 320 of you that put your names down meaning 10 people per team! We decided to give away prizes for 3 separate teams; the winners, the first to go out on penalties, and the "worst" team. If your team landed a prize then all 10 of you who had that team will each receive the same prize. Congratulations to all winners - Please check your email email inboxes as it will have instructions on how to claim your prize!